Tidal, a subscription-based music and video streaming service owned by rapper Jay-Z, is being investigated in Norway over allegations of falsely inflating listening numbers. The investigations follow ongoing reports by Norwegian newspaper Dagens Næringsliv that the music streaming service had inflated its listening numbers of artists such as Beyonce and Kanye West. Tidal is now being probed by the Norwegian Authority for Investigation of Economic and Environmental Crime (Okokrim) after having received allegations from Norwegian artist associations claiming potential loss of income from the manipulation of streaming data. “Tidal is not a suspect in the underlying investigation," a spokeswoman for the company said. "We are communicating with Økokrim. We are aware that at least one person we suspected of theft has been questioned." Jay-Z acquired Tidal in 2014 in a US$56 million deal, to give his peers a greater share of the proceeds from streaming services, which now account for more than half of all U.S. record industry sales. During a presentation in 2015, he introduced fellow artists such as Rihanna and Alicia Keys as co-owners. The service has failed to rival platforms such as Spotify Technology SA and Apple Music. In 2017 Sprint Corp. acquired a 33 per cent stake, following reports that Tidal was in discussions with Apple about a sale, according to The Wall Street Journal. The latest complaints come from Norwegian copyright and music associations, following Dagens Næringsliv’s investigation published in 2018. 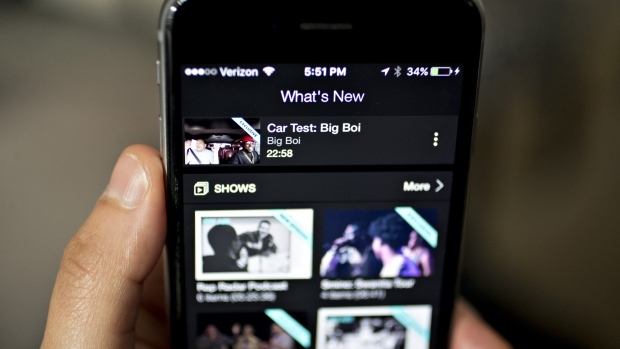 The newspaper, along with Norwegian University of Science and Technology, analyzed data claimed to be Tidal’s raw streaming data. The university produced a report that concluded there had been manipulation of the data at particular times.